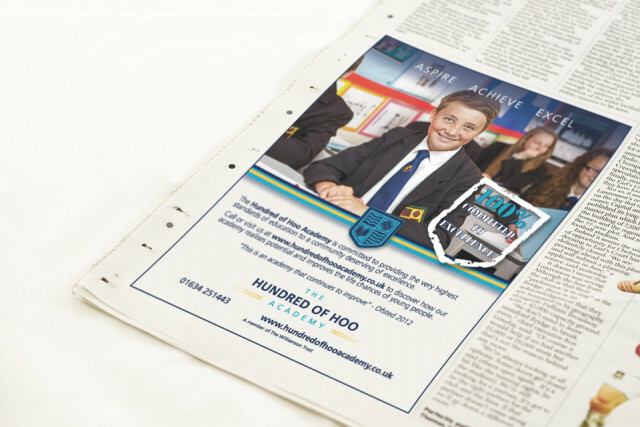 On referral from another school client, we were fortunate to work with The Williamson Trust and their partnering academies, including The Hundred of Hoo Academy. 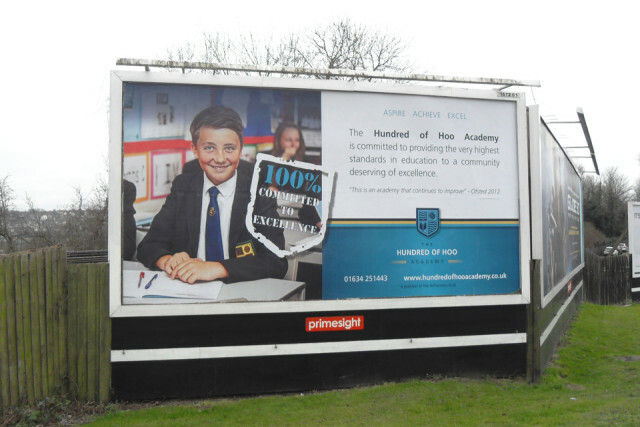 As part of a promotional campaign to raise the profile of the school in the local community, we recommended a multi-media advertising campaign. Research was undertaken to find the most suitable outdoor advertising sites (including billboards, 6 sheets and bus stops), which would attract the best footfall in the catchment area. As well as outdoor media, co-ordinating press advertisements were placed in local publications and a direct mail campaign was delivered to households in the region to ensure coverage of the message. 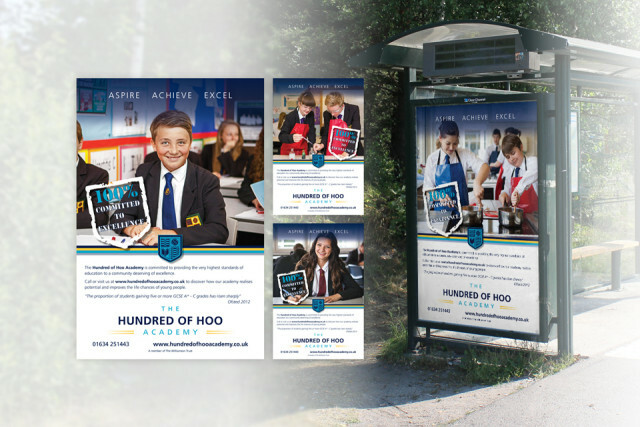 SEA sourced and refined the database for the mailer, targeting families with children aged 7 – 11 years, and handled all design, artwork, production and distribution of the campaign materials. Other projects we have worked on for The Hundred of Hoo Academy include photography and their main school and post 16 prospectus.